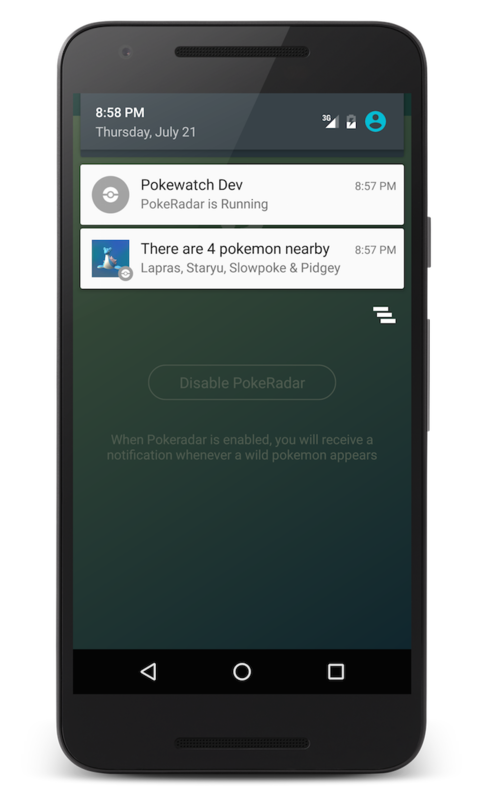 Nearby Pokemon Notifications For Pokemon GO. PokeDetector lets you keep your phone in your poket while you go Poke-hunting! Awesome Notifications on Android Wear! Note: We can't publish this app to the Play Store, so you'll have to install it directly. Why Can't I Download The App From Google Play? Which Account Should I Log In With? Why Does It Use PayPal? The app is free to use forever (without ads). If you want to unlock some extra features (like only receiving notifications for specific Pokemon), then you can unlock the Premium version by paying with PayPal. Because the app isn't published on the Play Store, it means that we cannot use the defualt In-App Purchases mechanism. The app scans for Pokemon within the catching distance (70m currently). 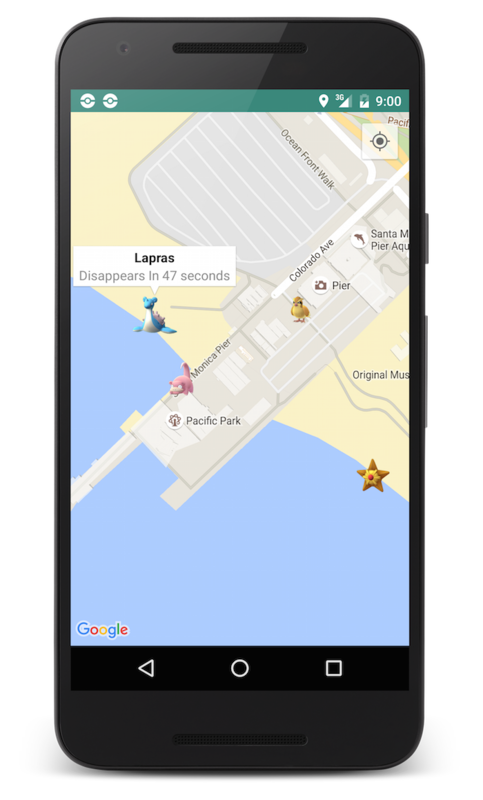 The range was reduced recently by Niantic, so fewer Pokemon will show up. Will You Increase The Range? No. Increasing the range requires GPS spoofing (which is cheating). This app only exists to show you the Pokemon you could catch if you actually had Pokemon Go open. We don't want to break the game or ruin the fun for anyone.